“Oak Construction is involved in all facets of Residential and Commercial construction.” From small to large projects, our goal is to increase the function of your home or business, making it a beautiful well-designed space. We strive to understand the needs of our clients and implement the most cost-effective solutions. At Oak Construction, we seek to build quality homes and businesses while providing attentive customer service. We work closely with the subcontractors and suppliers to make sure your home is built to your and our standards. We understand building a home can be stressful for the customer. We make every effort to ease your anxieties and concerns while construction is underway. Typical Job Costs: $250,000 - $5,000,000 Costs range based on the scope and scale of the project: Renovations typically range from $100,000 and can go up to $700,000. Our Custom Homes can start from $250,000 and can be up to $3,000,000. 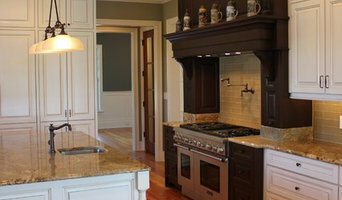 Call us today to discuss your custom home or renovation project. Specializing in Outdoor Living we are a full service lawn care business. We do mowing, fertilizing, weeding, trimming, plant installations, hardscape installation and maintenance, irrigation installation and maintenance, and anything else you may need in your yard. A professional landscape, hardscape, fence installation and maintenance company, serving all of Cape May County, NJ. Tyler building co. Is a small thriving home improvement company, committed to complete customer satisfaction. Contact us for a custom quote on your next project! Tyler Building Co is a licensed and insured business providing Salisbury, MD with professional home improvement and remodeling works and services. We specialize in complete customer satisfaction and no job is too small. We also offer same day service and repair. The Cypress Group Limited takes a unique approach to home remodeling and construction - We treat your home as if it were our own. Our hearts are invested in each and every project. To us, it's personal. We feel a deep commitment to our clients, and that commitment remains even after the project is complete. Michael Labesky, President of The Cypress Group Limited, grew up just outside of Baltimore, MD. After graduating from Northern Arizona University in 1996, he moved to Breckenridge, Colorado and enjoyed ten years building custom homes in the high-country. After he and his wife welcomed their second child, they decided to return to Michael's roots and moved back to Maryland to be close to family. In 2007, The Cypress Group Limited was born, with the mission to bring high quality craftsmanship, integrity and total commitment to client satisfaction. Call or email today to discuss the unique vision you have for your home. We started in 1992 building log homes. Over the years, we’ve tackled many facets of the construction field, including building homes and renovating them, building decks and garages, and adding sun rooms and screened porches to extend your living space to the outdoors. We believe in honest hands on relationships with our clients. Most of our clients become repeat customers. Craftsman Builders is a family run business since 1992 and we strive to make the building and renovation process enjoyable, not stressful. We are located in Sussex County Delaware near beautiful Trap Pond State Park. There are a lot of contractors to choose from these days. 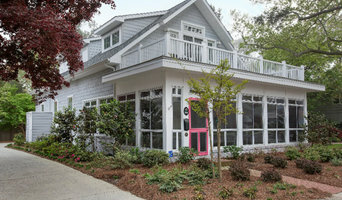 Why choose Craftsman Builders? In a world of outsourcing, we feel it’s important for a customer to have a working relationship with their contractor. That’s why we are physically on site from the first quote to the final inspection. You may need help with a small fix or someone to build you an all new space. We can help you along the way. We use local lumber companies that can deliver better products with superior service. We do projects on a first come basis, which means if we are on your project we stay on your project until it is finished. Most of our customers have become repeat customers. We work on your home like we would work on our own. 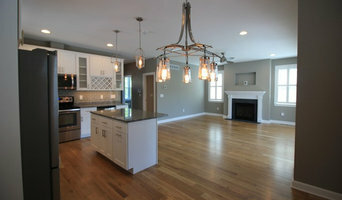 If you want something done, but can’t or don’t want to do it yourself, Craftsman Builders of Delaware is your answer. At C&C RENOVATIONS, our goal is to provide high quality craftsmanship in all phases of home remodeling while making the process easy and enjoyable for you. We are a full-service home improvement company with a wide range of experience, working in the Atlantic county,south jersey area. We can help you with all phases of new home construction or remodeling: kitchen and bathroom remodels, additions, decks, trim, hardwood flooring, tile and much more. Our excellent reputation and long list of satisfied clients attest to our superior craftsmanship, attention to detail, clear communication, honesty and integrity. Just ask for our client reference list. Our company is based on the belief that our customers’ needs are of the utmost importance. Our entire team is committed to meeting those needs. As a result, a high percentage of our business is from repeat customers and referrals. Call us today to schedule a consultation! M. Phippin Contracting is proud to be a family owned and operated Construction Company! With 25 years of experience in the industry as a full service contractor who believes in earning trust and establishing relationships with our customers. We will never cut corners or use inferior products! M. Phippin Contracting is proud to collaborate with selected contractors on the Eastern Shore to ensure the best project outcomes! We treat our customers the way we would like to be treated, with honesty and respect…. M. Phippin Contracting just doesn’t do business any other way!